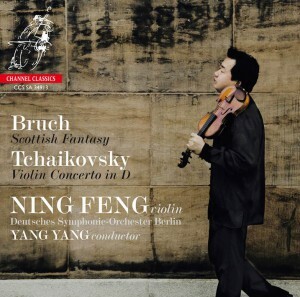 “Ning Feng’s hushed playing in the opening ‘Introduction: Grave’ immediately establishes the stature of this performance and his lyrical outpourings in the piece’s slower sections, such as the gorgeous ‘Andante sostenuto’, do full justice to Bruch’s richly melodic writing. 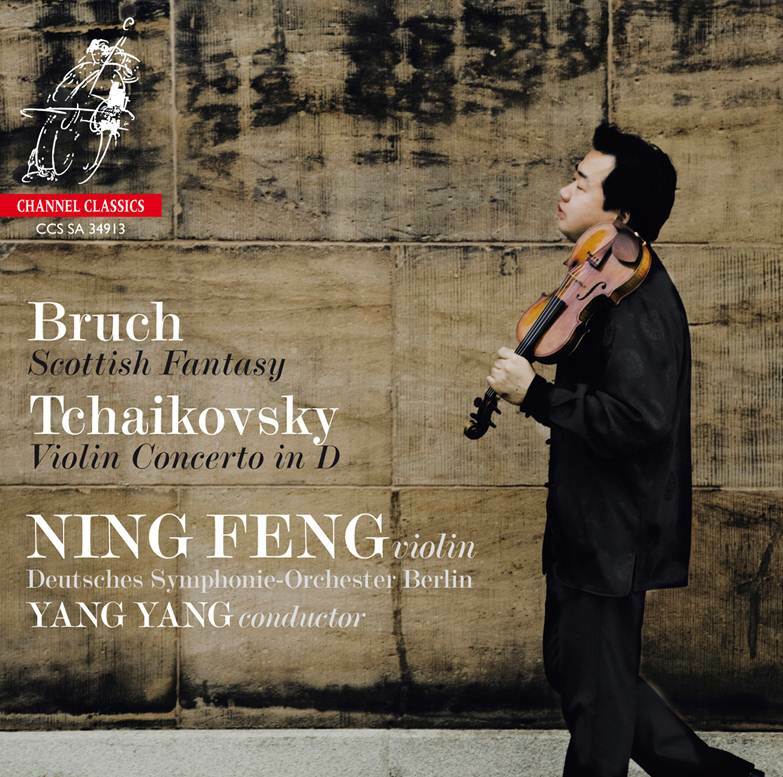 The final ‘Allegro guerriero’ opens at a fairly steady pace, but gradually builds in excitement thanks to Ning Feng’s dazzling playing and the fine support from Yang Yang and the Deutsches Symphonie-Orchester, Berlin. The Tchaikovsky Violin Concerto has received so many excellent recordings on both CD and SACD that one wonders whether there is any room left for another. The answer, based on this account from Ning Feng, is a resounding yes. He plays this work as if it were newly minted. Tempi in all three movements are spacious, possibly as a result of Feng’s insistence on clear articulation of the solo part and a reluctance to indulge in mere virtuosity at the expense of the work’s deeper musical values… Overall I was entirely convinced by the sheer beauty and musicality of his interpretation. The laser accuracy of Feng’s playing coupled with the bright timbre of his 2007 Stefan-Peter instrument makes this performance a gripping aural and musical experience. “This 32-year-old violinist, who trained in his native country and with Antje Weithaas at the Hanns Eisler School of Music in Berlin and subsequently won numerous prizes, is certainly an exceptional talent. He impresses not only with his technical skill but also with a warm, inspired and consistently full and lyric tone, able to express great emotion. He offers a correspondingly romantic and sensitive performance of Bruch’s Scottish fantasy which retains a certain grandeur, not least thanks to the orchestra’s spirited playing. The Canzonetta is beautifully played and the Finale (of the Tchaikovsky concerto) is a unique fireworks display for both soloist and orchestra with enchantingly charming slow passages.